In the first part of this post on All You Need to Know and Do to Generate Consistent Traffic to Your Blog, I showed extensively two things you need to do and start getting the required traffic to your blog. You should go and read it if you have not or you have forgotten what the first part contains. If you really want to generate consistent traffic to your blog, you need to read this. This is because what you are about to read contains the secret of my continual blog traffic increase. This is the next step once you have organic traffic coming to your site. When we say “paid advertising,” we’re not talking about hiring a firm to get your company recognized during a major competition. The best ways to get started in paid advertising are through Google Adwords and Facebook Pay Per Click Marketing. There are certainly other platforms on which you may purchase Pay-Per-Click (PPC) ads, but Google is the simplest and most prominent. To set up your account, go to www.google.com/adwords . You can then move on to create your first campaign. Basically, you will bid on keywords that are most relevant to your business, and then pay Google a certain amount for each time someone clicks on your ad. You’ll need to decide an overall budget and a Cost-Per-Click (CPC) rate that you are willing to pay. For example, if you decide that you would like to spend $100 a day, and you are willing to pay $5 for each click, then Google will run your ad until you reach 20 visitors. You can easily track results and determine how/when you need to change your ad – it will take a little fine tuning to find the optimum results. Be sure to watch the videos or even download the beginner’s guide – they are great resources for you as you get started with Adwords. Another great resource for your Adwords campaigns is the Google Ad Planner. 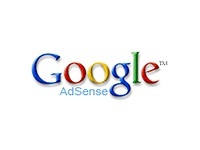 You can access the tool at www.google.com/adplanner. You’ll be able to research specific sites to see what type of traffic is visiting them. You can choose your target audience, for example, and then see what types of sites they are visiting. This data will help you decide where your ads will bring you the most bang for your buck. Another great avenue for paid advertising is on Facebook – with dedicated Facebook Ads. Facebook is second only to Google in terms of site visitors per day…that’s a LOT of people that can be reached through a simple Facebook ad. To get set up, you obviously need a Facebook account. Once you log in, you can get started right away. To set up an ad that will send people to your website, click on the “Create an ad” link on the right hand side of your home screen. You will be directed to a design tool to get started on your ad. You will be asked for your website URL, a title for your ad, an image, and some body text. You can even see suggested ideas by clicking the “Suggest an Ad” button during your ad creation. Once you are happy with the way your ad looks, you will choose a target demographic and see your ad’s estimated reach. You can choose a budget and time period for your ad as well. NOTE: With Google, you choose words that people will be searching for. With Facebook, you choose what type of people you will send your ad to. If you are sending out an ad about dentistry supplies, for example, you can choose to send it to people with “dentist” or “oral surgeon” somewhere in their profile. Facebook Pay Per Click Marketing are a great way to pinpoint groups or individuals that fit your target market. That’s it! It’s just that simple. 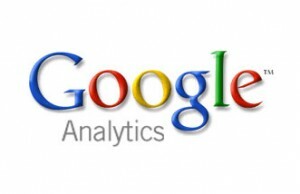 Take advantage of Google Adwords and Facebook Ads to generate a constant flow of traffic to your website. You can put your content into article form (usually between 300-600 words) and distribute it to free article hosting sites. As the author, you will usually get a byline that includes your name, bio and a link to your website. You get instant credibility, exposure and a little help with your SEO ranking, too. Start compiling your content into articles that will be ready for distribution. Each hosting site has different requirements, so you may need to tweak the articles just a bit to make them work. One thing should remain consistent, however: don’t sell in these articles. Just inform, educate, entertain… and then send them to your site to learn more. This is simply publishing your message online through videos. Videos could be just about anything – you talking, a product demo, a promotional campaign or anything that highlights your company or product/service. These videos don’t have to be professionally made – even inexpensive cameras will work. The key is to create buzz around your video. If it is clever, funny, interesting, relevant or unique in any way, it will get traffic. Get creative…and have fun! Once you create your video, post it to YouTube. Be sure to include a robust description of your video including keywords. Link the video back to your website, too. Then you can promote the video on your blog, Facebook page, Twitter etc. Encourage others to share it too. A few simple videos can dramatically increase your exposure on the Internet and help drive more traffic to your website. In summary, we have made mention of 5 things you need to know and do so at to get consistent traffic to your blog. These are tracking your traffic using analytics, performing search engine optimization, using social media marketing in the form of paid advertisement on Facebook and Google, article marketing and also video marketing. Go ahead and make all of these methods a reality. Feel free to share this post with as many people as you can. Also, subscribe with your email address and become part of our readers.